AMETEK Test & Calibration Instruments are proud to announce two new additions to the family of products for calibration and measurement. This is the first result of combining our expertise from Crystal Engineering and Jofra to create new, innovative and easy-to use products. The Advanced Signal Calibrator ASC-400’s accuracy is designed to meet the calibration demands of modern sensors and transmitters. The versatile instrument is capable of sourcing with simultaneous read-back from device-under-test of mA, V, pulsed transmitters, pressure and temperature. We’ve taken the features you love from the ASC series, like % error calculation, scaling, leak-testing, and switch calibrating, and incorporated them into an extremely user-friendly interface and high-contrast color display. Its unique “menu-free”, single-window interface greatly simplifies operation, allowing all functions to be controlled or set from the main menu screen. The APM CPF Series is our next generation of advanced pressure modules and features a new housing, CPF female connection, and the same high accuracy pressure measurements you expect from Crystal Engineering. Accuracies are down to 0.025% of reading, and are unaffected by temperature in the range from -10°C to 50°C. 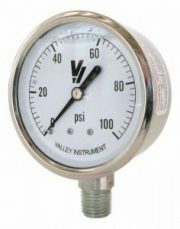 The pressure modules are available from 30 psi / 3 bar up to 15 000 psi / 1000 bar, and each module can be used to measure gauge or absolute pressure, depending on what instrument you connect it to. 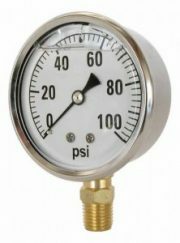 Transform your Multi Signal ASC-400 into a full-featured pressure calibrator with the safest fitting line available. The calibration data is stored in the module and it can be combined with any compatible JOFRA calibrator without “calibrating” them together. 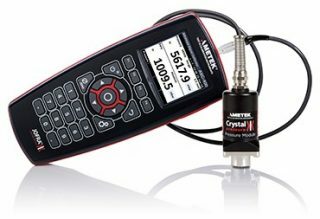 The APM CPF uses the same LEMO connector found on previous versions, making it 100% compatible with the installed base of Jofra ASC multi-signal calibrators.